ALAY MEDISINA | Since 1987, Kaisa has distributed medicine to indigent patients at the Philippine General Hospital. The patients are identified by the Medical Social Service and provided medication as prescribed by doctors. Alay Medisina is conducted on Tuesdays. Email us now to volunteer! DUGO MO, BUHAY KO | Kaisa celebrates its anniversary every year through a blood donation drive in partnership with the Philippine Red Cross. ALAY KALINGA | Kaisa partners with other organizations for the building of low-cost houses for the marginalized in Baseco, Manila, Mati and Cateel in Davao, among the indigenous Aetas in Bamban, Tarlac, and many others. Kaisa acts as liaison between the Tsinoy community and Gawad Kalinga to help rebuild homes and lives. Other Kalinga projects include extending assistance to other institutions who need help (orphanages, home for the aged, people displaced by fires or calamities by being a bridge among different NGOs and connecting those who can help to those who need help. KAISA 0-6 | Kaisa partners with local government units to establish their early childhood and development programmes. 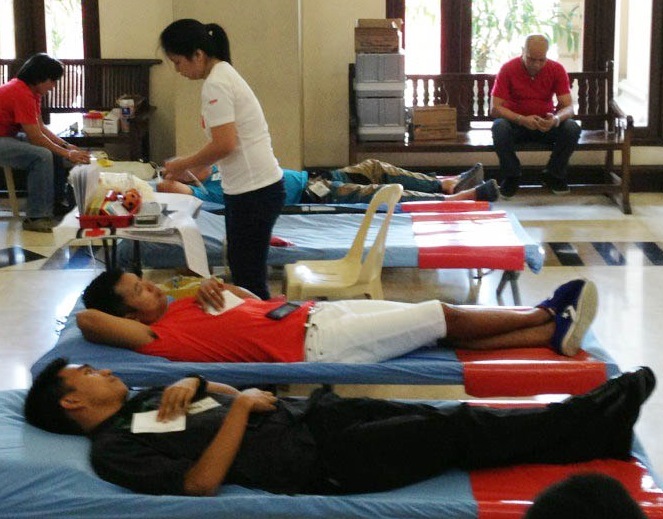 RELIEF OPERATIONS | Relief assistance is provided during calamities like typhoons and floods, earthquake, volcanic eruptions, fires. Kaisa has established networks with various non-profit organizations around to country, who stand as our contacts for conducting relief operations. Volunteers pack aid packages in our headquarters in Intramuros, Manila. The non-profits on the ground coordinate with local government units to organize the communities for peaceful and orderly distribution. 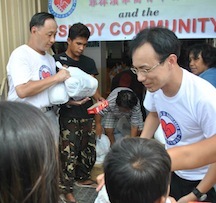 We have been the conduit NGO for the Chinese Filipino community as well as international institutions like Amity Foundation of Hongkong and the Hongkong Government (after Typhoon Ondoy in 2009 & Yolanda in 2013).